Prepare to possibly say goodbye to sugary fast food staples like the M&M McFlurry, Burger King’s Snickers pie and most of your favorite Dairy Queen Blizzards. Candy maker Mars is reportedly considering removing all its products from fast food menu items in a preemptive attempt to avoid criticism over the excessive amounts of sugar in the dessert. According to Reuters, who cites an industry source, discussions have already transpired between the world’s largest candy company and its partners about the use of Mars’ brands in ridiculously sugary products. Apparently anything from reformulating existing items to axing them altogether is on the table. According to Reuters’ source, “Mars is concerned desserts that feature its candies … exceed in a single serving the amount of sugar the U.S. government recommends anyone eat in a day,” The company also believes that such excessive sugar intake goes against its stance that sweets should be eaten in moderation – although you can decide for yourself just how moderate they really intend to be considering they sell as much as $25 billion worth of sweets every year. Still, Mars has a proven track record of being ahead of the curve on health trends, including adding calorie counts to the front of candy bars and limiting these items to no more than 250 calories. Mars also publically stated it would limit sugar in its products to meet international health guidelines. “We are now working alongside our suppliers and customers to bring this commitment to life,” a company spokesman told Reuters. 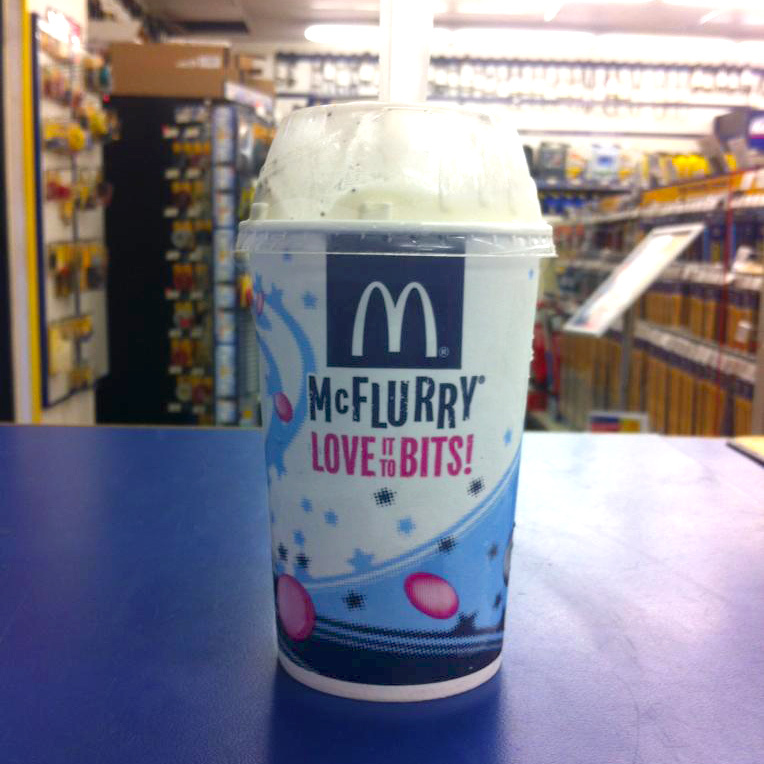 Sadly, what’s good for our health may be bad news for the poor McFlurry.